Posted on April 4, 2008 by Wailord. 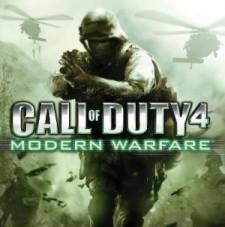 Fire up Call of Duty 4, and you’ll see an update ready for you. Download it and go to Multiplayer, Download Maps, and buy it (on the 360) for 800 Microsoft Points. There are four new maps: Creek, Broadcast, Killhouse, and Chinatown, the last of which is a remake of Carentan from Call of Duty 2. Posted on March 9, 2008 by Wailord. Yup. This morning, after I picked up Brawl and popped it into the Wii, it wouldn’t read. I thought it was odd, seeing as it was an untouched game, but I exchanged it…only to find the second disk, too, didn’t read. I decided to research the issue further, and turns out, it’s widespread. Posted on January 16, 2008 by Wailord. Only this time by the Dojo! Posted on December 31, 2007 by Wailord. Categories: Best of 2007, Gaming, PC, PS3, Xbox360. Call of Duty 4 is the best game I’ve ever played. Goodbye, Team Fortress 2. Goodbye, BioShock. So sorry, Valve and 2K; there’s a new sheriff in town- Infinity Ward. Infinity Ward brings to the table the first Call of Duty game not set in the Second World War, and their first in the franchise since CoD2- needless to say, it’s the best iteration yet. Personally, I grabbed the game for the Multiplayer, with absolutely no intention of playing the single-player. Just for kicks, I decided to try it out…wow. The game’s set in the Middle East/Russia, where a fictional and radical al Queda-esque group’s leader overthrows the government, reminding you of the whole Hitler regime. Your goal of the game is to stop this uprising, and to take care of any bumps along the way. The story grabs you from the very, very beginning where you infiltrate the enemy’s cargo ship (and it’s attacked) to the very traumatic ending. That’s just the single-player campaign. The multiplayer (why I bought the game, as I played the beta) is absolutely insanely without-a-doubt bar-none no-doubt-about-it undeniably freaking awesome. Yeah, it’s that good. There’s a leveling system that gives you a ton of incentive to keep on playing, and many, many maps and modes to keep things fresh. Overall, the multiplayer is…yeah, the best I’ve played. Again. So, Call of Duty 4 grabbed the #1 spot. Mind you, this top 10 has been solely based on our opinions here at GameSpotting!- if you could choose, what would your top game be? What games do you think were snubbed? What deserved to be higher? Clearly, 2007 was insanely awesome, game-wise. Happy New Year, everyone, and here’s to an even better (?!) 2008! Categories: Best of 2007, Gaming, PC, Xbox360. A man…has a choice. I chose…BioShock. Welcome to Rapture. The underwater thriller is near-perfect from start-to-finish, and has everything that a good game needs: graphics, a story, and gameplay. The controls are flawless, the Plasmid system is awesome (with nice controls to go with it), and the story is probably the best I’ve seen in a game…ever. You start off on a plane (for a few seconds), only to have it crash (why did it crash? that’s for the player to decide…). You are dying in the water, near-drowning, and need something to save you, and quick- there, in the corner! That lighthouse! You enter…but who would have expected a gateway to something as horrible as Rapture? Best Original Score (VGAs), Best Xbox 360 Game (VGAs), Game of the Year (VGAs), Best Xbox 360 Game (Metacritic), Best Xbox 360 Game (GameRankings). As well as THIRTY 10/10s, not including one from me. While BioShock may have been a cinematic perfection, it had its flaws. The game was too easy and too short for my liking, but that puts hardly the dent in this masterpiece. 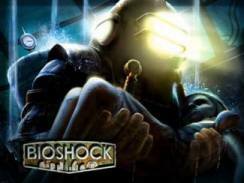 If you would like to know more about BioShock, please read my review.